I can’t believe it’s the last Top 5 Tuesday of 2017! Top 5 Tuesday is hosted by Shanah over at Bionic Bookworm. Shanah, I’d like to take this opportunity to thank you for thinking of great topics week in and week out and for making Top 5 Tuesday such a fun tag to take part in. I’m looking forward to finding out what topics you have lined up for us in 2018! Blurb: ‘Speth Jime is anxious to deliver her Last Day speech and celebrate her transition into adulthood. The moment she turns fifteen, Speth must pay for every word she speaks, for every nod, for every scream and even every gesture of affection. She’s been raised to know the consequences of falling into debt, and can’t begin to imagine the pain of having her eyes shocked for speaking words that she’s unable to afford. I honestly cant wait for this book!!!! If someone was to surprise me by pre-ordering me a copy I’d be SO happy! The only downside is that I’d need to wait until July 2018 to read it. 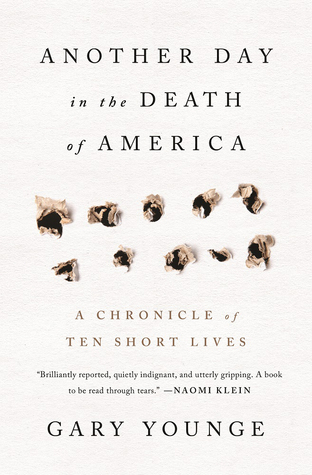 Blurb: ‘On an average day in America, seven children and teens will be shot dead. In Another Day in the Death of America, award-winning journalist Gary Younge tells the stories of the lives lost during one such day. It could have been any day, but he chose November 23, 2013. Black, white, and Latino, aged nine to nineteen, they fell at sleepovers, on street corners, in stairwells, and on their own doorsteps. From the rural Midwest to the barrios of Texas, the narrative crisscrosses the country over a period of twenty-four hours to reveal the full human stories behind the gun-violence statistics and the brief mentions in local papers of lives lost. This book has been on my TBR list for what seem likes forever. I’m not entirely sure why I haven’t got round to buying it but I’ve mentioned it to a few family and friends when they ask me what I want for Christmas, so fingers crossed!! Blurb: ‘Journalist Harry Fizglen is sceptical when his editor asks him to investigate the background of Simone Anderson, a new Bloomsbury artist. But once he’s met the enigmatic Simone, Harry is intrigued. Just what did happen to Simone’s twin sister who disappeared without trace several years before? And what is the Anderson sisters’ connection to another set of twin girls, Viola and Sorrel Quinton, born in London on 1st January 1900? All Harry’s lines of enquiry seem to lead to the small Shropshire village of Weston Fferna and the imposing ruin of Mortmain House, standing grim and forbidding on the Welsh borders. I’ve only recently come across this book and from the blurb it totally sounds like my kinda thing. If I don’t get it for Christmas, I’m sure I’ll get around to reading it at some point in 2018. This isn’t my usually type of book but I’ve heard SUCH good things about it. My other half is currently listening to the audio version of it and he is constantly banging on about how good it is and it’s got me intrigued. So, I’ve asked him to buy me a copy so I can give it a go. I’m hoping it’s as good and everyone is saying it is! I’m looking forward to seeing what other people have on their lists! Merry Christmas guys! I hope you all get the books you wished for! 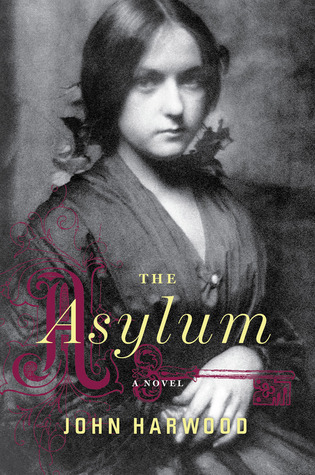 Wow The Asylum sounds amazing!! I might have to add that one to my TBR too! And All Right Reserved made my list as well. And I really do hope you get Ready Player One – it’s one of my all time favourites!! Great list! Thanks so much for participating this year! Hope to see you again in 2018 🙂 Hope you have a merry Christmas! The Asylum sounds so good doesn’t it! Put it on your ever growing TBR list! You will definitely see me taking part in 2018! 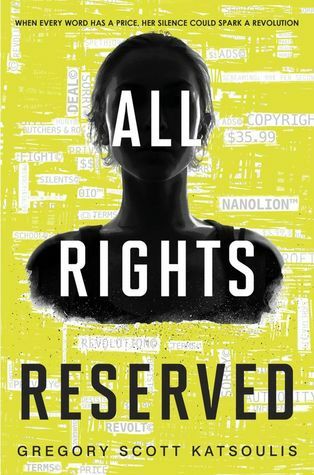 I don’t know if this is going to make your day, or ruin it, but… All Rights Reserved is on bookshelves RIGHT NOW! It came out at the end of August. I hope you like Ready Player One. It has some pretty big expectations to live up to! Do you know…. I must have checked this on Amazon a million times and I’ve just realised that I can order the hardback now! Ahhhhhhh thank you so much!!!!! Wow. Those are some heavy books too. I hope Santa brings you these lovely stocking stuffers.